Custom fields is a powerful feature you can use inside Pics.io. It helps you store all the necessary information about your assets and simplifies your search through the digital library. To manage сustom fields, choose this option in the Settings menu on the main screen. When you click on it, you will see a list of fields which carry information about your assets. By default, there are EXIF fields here. Metadata is automatically parsed into the corresponding fields according to a specific set of rules of handling metadata. In addition to default fields, you can create your own fields to meet the specific needs of your organization and workflow. How can I create my own custom fields? To create your own custom fields, go to Settings - Custom Fields. There you should scroll down until you find a blank field at the very bottom of the page. This is where you enter the title of your custom field (e.g. “Creator name” or “Release date”). After that, you can choose the type of your custom field. This depends on the type of information this field is expected to contain. There is one more option here - Group. 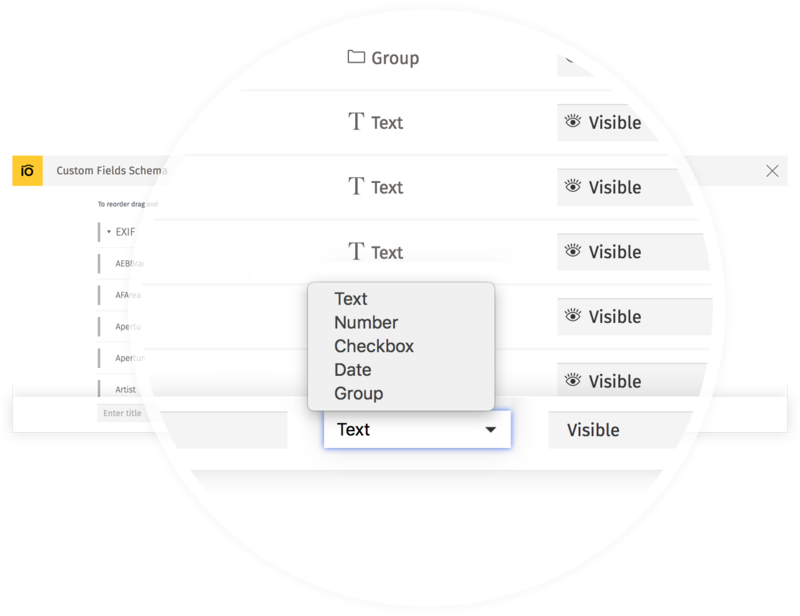 If you select Group, the subsequent fields that you create will form a group. 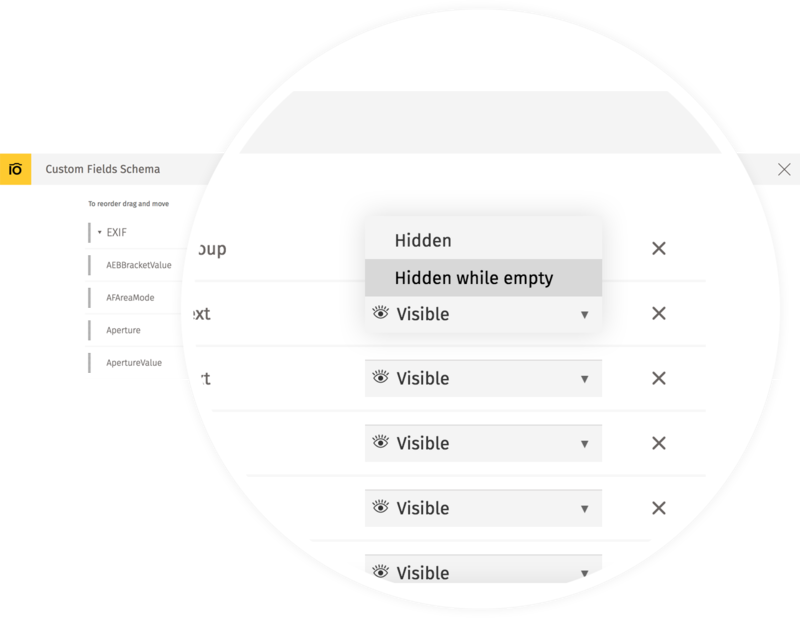 Besides, you can select the visibility status of your custom fields. It is done with the help of the eye icon next to the custom field. To finish the creation of a new сustom field, click plus button on the right. Please note that depending on your role in the team, you may not be allowed to edit custom fields schema. If this is the case, turn to your team owner and read more about team roles here. How can I rearrange the order of my custom fields? You can drag and move the сustom fields to reorder them in the way which suits you best. You can also delete a field by clicking the “cross” button if you don’t need it. Where can I enter actual information in my custom fields? To enter information about the asset in the newly-created fields, you should open your asset inside Pics.io. On the right-hand side of the main screen you will see Infopanel where you can find all important information related to the asset (title, description, keywords, assignees, etc.). If you scroll down a bit, you will find EXIF metadata fields and the custom fields that you created. How does Pics.io save my metadata? 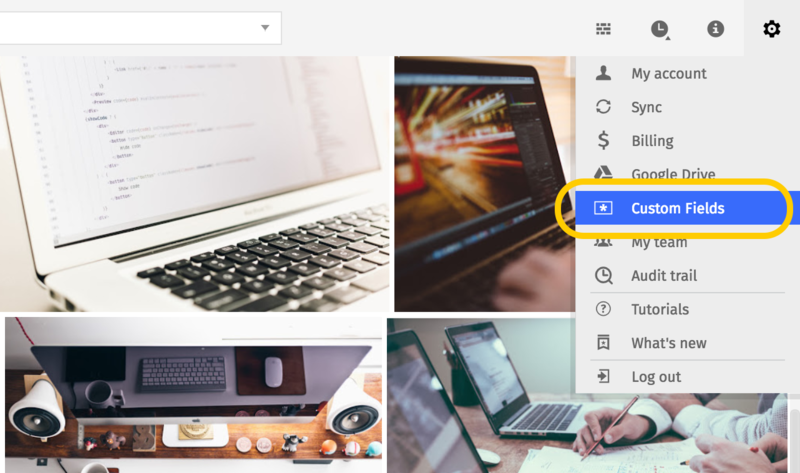 When you sync your assets Pics.io to Google Drive, all information you entered in custom fields is saved within your asset. It remains available even after you download your asset and work with it outside Pics.io, e.g. in Lightroom or in a similar service. Read more about the specific set of rules of handling metadata in Pics.io. Can I migrate my custom fields schema? 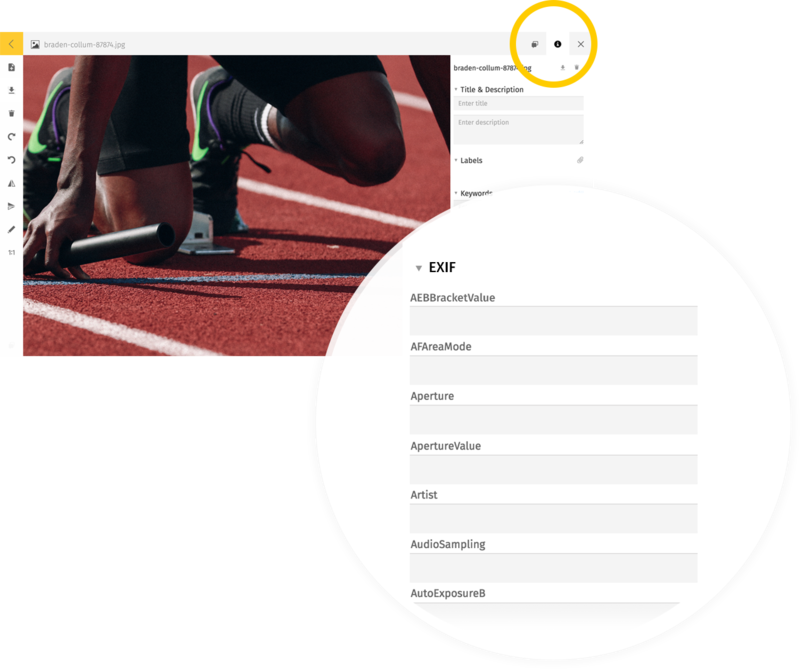 Press export and your custom fields will be downloaded as a separate file to your device. Open a different account in Pics.io where you want to migrate your custom fields. Press import and the custom fields will be replaced.